For years, Vsauce has been creating quality content that expertly combines broad scientific concepts with entertainment. 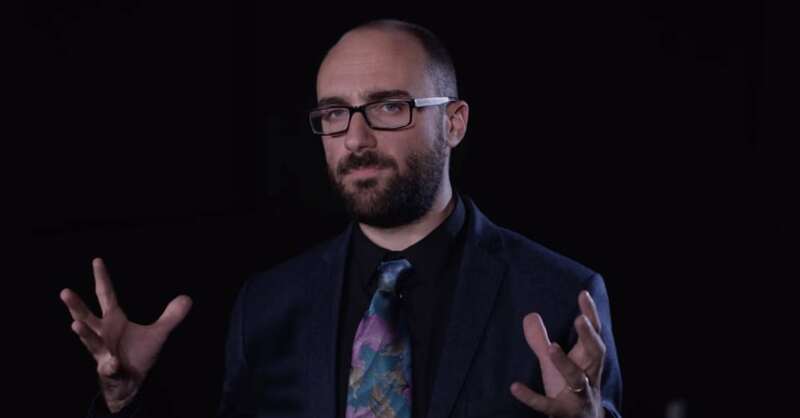 Taking topics such as the actual taste of human meat and the validity of the five second rule, Vsauce’s main YouTube channel has garnered well over 13 million subscribers. In this exclusive interview, Vsauce creator Michael Stevens discusses how he makes new videos, his favorite concept that’s been discussed on the channel, and the release of the Curiosity Box. Innovation & Tech Today: Explain your process in producing a new video. Michael Stevens: Every video I make begins with something that I’ve found that confuses but delights me. I investigate it by speaking with experts, reading, and sharing it with others. And until I feel like I understand it well enough to explain it, I’m not done. It can take time to feel ready to go to production. I want my scripts to not only explain but also connect. My videos shouldn’t just repeat what’s already in books or online, they should clear up what I found difficult in the literature that’s already out there and should be able to connect a topic to other things. The more ways I can connect something to other interesting things, the more likely I am to hook the largest number of viewers. I&T Today: Where does the idea for a new episode originate? Michael Stevens: I’m often inspired by things I’ve read that surprise me or seem counter-intuitive. Sometimes ideas come from questions like “What if everyone jumped at once?” or “If you were born in outer space … what nationality would you have?” They might sound a bit silly and useless, but attempting to answer such questions can lead to a LOT of learning and can attract a lot of eager listeners. I&T Today: How do you balance entertainment and education in the writing process? I&T Today: Do you find it difficult to keep that balance? Michael Stevens: Nope! Something drew me to the topic in the first place and as long as I make sure to emphasize what that was and why my video will be authentic and my interest and passion will be as contagious as possible. I&T Today: How valuable do you believe YouTube is as a teaching tool? Michael Stevens: I think YouTube, like any source of video content, is great for classrooms and autodidacts. The more people and voices and styles in which you hear something explained, the closer you’ll get to an intuitive understanding. Videos can’t replace teachers who actually work hands-on with students and can guide them individually, but as an additional tool or resource for further study, they’re amazing! I&T Today: How do you avoid burning out while trying to consistently produce content? Michael Stevens: I’m lucky in that I can pick any topic I want to investigate. If I pick one, it’s because I’m in love with it. Topics I pick can be anything: physics, chemistry, language, history, philosophy, etc. So it’s hard to ever get bored. I&T Today: Is there one Vsauce episode you’re most proud of? Michael Stevens: The Banach-Tarski paradox took me a long time to wrap my head around. There’s more I’d like to do with it, but this episode really showed that people are SMART. They want to learn new, weird things and so long as you’ve shown them how important and weird something really is (and everything is weird in some way), they’ll be eager to do the work it takes to understand it. I&T Today: What is the most fascinating topic you’ve reviewed on your channel? Michael Stevens: Infinity. There’s more than one size of infinity and in order to take a trip towards larger and larger infinities, you have to step back and ask, “What IS math?” By doing that, I think you gain a great appreciation for just how powerful and creative mathematics is. I&T Today: What would be your advice to someone launching their first YouTube channel? Michael Stevens: Make a lot of videos. The more videos you make and upload, the more lessons you’ll learn. That’s vital in the beginning. Don’t worry about being too precious at first, just make and release. Also, make videos for yourself. As soon as you start worrying about what you ‘think’ audiences want, your videos will cease to have authentic passion. Don’t worry: your videos are not just cool to you. There are MILLIONS of people out there who love what you love and who you are. I&T Today: What made you decide to release the Curiosity Box? What inspires the items in each box? Michael Stevens: Videos can only show so much. Getting your hands on scientific tools and interacting with the world is even better. I grew up surrounded by gyroscopes and prisms and microscopes and puzzles and I LOVED IT! I want to share that experience with everyone so for each box, I and the Vsauce team pick items that we’ve learned a lot from and that made us who we are today.